Premier hand-crafted, ultra-premium ice cream company. Mon-Thur, 12N-8pm; Fri, 12N-11pm; Sat, 11am-11pm; Sun, 12N-8pm. 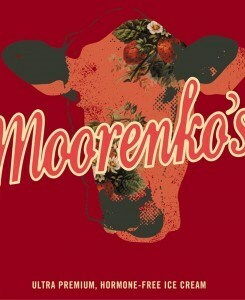 Everyone in the family loves visiting Moorenkos! One of my favorites in Honey Lavender... what? Yup, they have Honey Lavender, one of their homegrown. There are many others as well as sherbets , etc. Super delicious, creamy and fresh ice cream! Don't miss the honey lavender. Wow, what a great flavor!